Half-cast, spell-weaving prodigy, Malandar Denarlin, has failed the realms of Dallancea only once: when he died! Now Reborn a Guardian by the grace of the Maker, he exists for little other than the promise of vengeance and to protect the Veils of Time – something that has brought a measure of peace to his jaded nature. 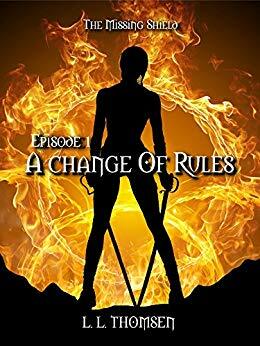 Yet when the Veils nearly fall and magic is laid to waste in an act of betrayal seemingly carried out by the one person he still trusts, Malandar knows that the very darkness he is oath-sworn to fight might yet return to offer him a second chance for redemption. With his thoughts already on strategy, but fuelled by little more than the scraps of power left him by the Maker and the desire to see his old enemies destroyed, Malandar soon finds himself willing to consider a new bold plan; a plan where he would break every oath ever sworn to the Maker, but also a plan that would put him in possession of a weapon of wild magic that could restore him his power and help turn the tides in the coming war. The questions are many. The answers few. As old animosities flare up, are the allies Malandar is sworn to stand with till the end of time, still to be trusted? Beyond the Veils in the Realm of Ostravah, a Princess and her salty protector-come-handmaiden, are also about to have their cosy world turned upside-down. Of course, Iambre and Solancei were never born to be ordinary, yet little do they know that their very existence has been tied to a primordial fight for survival that has already spanned aeons; in fact, little do they know that soon they will be called upon to stand against the Gods themselves. $1.99 on Kindle.